Our manufacturing plant, main offices and warehouse are in a 52,000 square foot facility in Fort Worth, Texas. Additional distribution warehouses, customer service and sales offices are in Dallas, Austin and most recently San Antonio. Tex-Air filters technicians install over 90,000 filters a month for various commercial customers. As a result there are few filtration situations we have not seen. Tex-Air produces all of its pleated filters including MERV 6, MERV 7, MERV 8, Merv 10, Carbon and MERV 11 in one inch, two inch and four inch filter sizes. The company also specializes in producing metal filters for kitchens, fresh air intakes and other applications. In addition, we produce custom filters for machinery protection, construction, OEM, paint booth, computer protection and cellular phone switches. The principals of the company, Chairman Jim Rosenthal, President Stevan Brown, Scott O’Neal, Dallas Regional Manager Benny Aycoth and Central Texas Regional Manager Patrick Rosenthal are Certified Air Filter Specialists (CAFS) by the National Air Filtration Association. This combination of experience and training gives us the breadth of knowledge to solve our customer’s air filtration and indoor air quality needs. 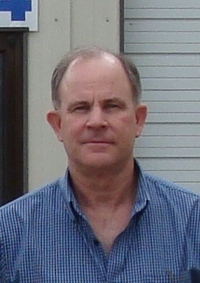 Jim is a co-founder of Air Relief Technologies, Inc., the parent company of Tex-Air Filters. He has been in the air filtration industry since 1997 and is a Certified Air Filter Specialist (CAFS) from the National Air Filtration Association (NAFA), where he served as President in 2010. He is very involved in the air filtration industry, frequently contributing to industry and professional publications on filtration, indoor air quality and environmental controls for allergy and asthma. Jim received his BA from Colorado College and his Masters from the University of Pittsburgh. As an undergraduate, he also attended the Netherlands School of Business. He is currently the President of the Fort Worth Civil War Round Table and participates in a number of other national and local organizations. 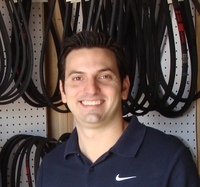 Stevan is a co-founder of Air Relief Technologies, Inc., the parent company of Tex-Air Filters. He has been in the air filtration industry since 1997 and is a Certified Air Filter Specialist (CAFS) from the National Air Filtration Association (NAFA). He is also a NAFA Certified Technician (NCT), an NCT II, which includes certification in the installation of HEPA filters, and holds a Texas HVAC License – TACLA023325C. Stevan received his BS from the University of Texas at San Antonio and his Masters from Texas Christian University. Benny is a Certified Air Filter Specialist (CAFS) from the National Air Filtration Association (NAFA) who has been in the filter business for over 20 years. He is very knowledgeable about all aspects of HVAC filtration from applications in schools to commercial buildings and medical facilities. 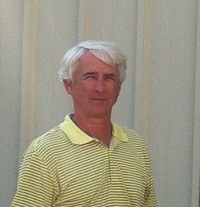 He is also an expert in filtration for industrial paint systems. Benny is an active member of the ACCA North Texas Chapter and prides himself in finding solutions to his customers’ filter needs. Scott has over 25 years of experience in all aspects of air and paint filtration. He has extensive knowledge in air filter service and works closely with both local and national accounts. He was one of the first air filter professionals to be certified by the National Air Filtration Association (October 5, 1993) and continues to hold his CAFS designation today. Scott received his BA from Sam Houston State University. 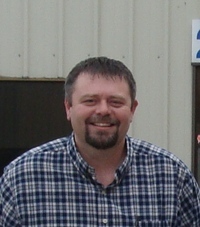 Patrick started the Austin branch of Tex-Air Filters in 2007 and is now the Regional Manager over Central Texas. 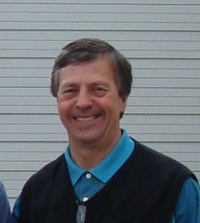 He is a Certified Air Filter Specialist (CAFS) from the National Air Filtration Association (NAFA), where he serves on the Board of Directors for the Southwest Region. He has experience at all levels of the industry including healthcare, manufacturing, commercial office and the government sector. Patrick holds a BA from the University of Texas.